Mega is first of the puppies and is named after his big size. 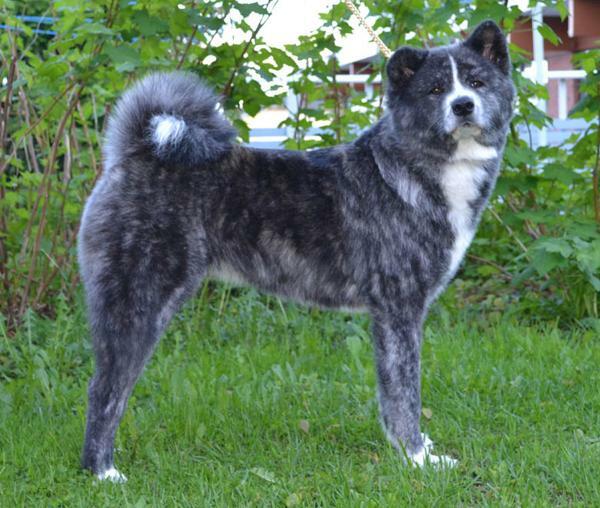 Boy charms with his big, teddybear looks and wonderful, dark brindle color. Mega got a new name and is called Max, which fits him like a glove. Sissi looks very much alike her father Tamatora. 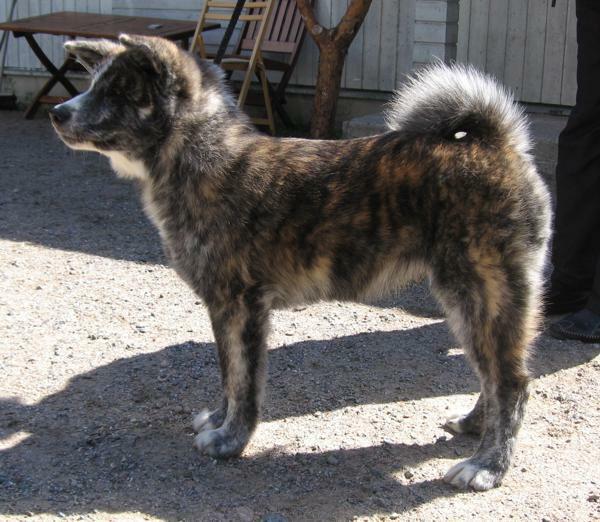 Stunning expression, great dark brindle color and thick coat makes her beautiful. But the best side of her is her wonderful, lovable temperament! Sissi gets along well with people and most dogs, even with females. Sissi wouldn�t never start a fight and if someone wouldn�t like her, she would just turn away. 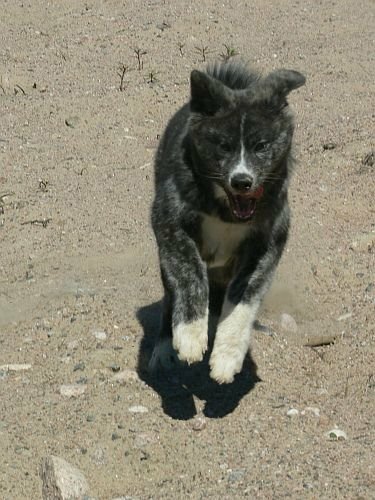 Sissi is an agility dog and she is great in that hobby. Sissi enjoys the time with her owner at agility track. Sissi lives with my dear friends and she was co-owned with me. Sissi has two litters and from the first, Uma, litter one her daughter stayed home, Hulda. The second litter is called Mido. Sissi is a healthy female and she is a great producer. Sissi had a hernia which came by accident at the time she natured her first puppies. Luckily it went away with medicine and lots of rest. Sissi also has bad hind legs and I�m so happy that all of her offspring has better hind legs that she does. 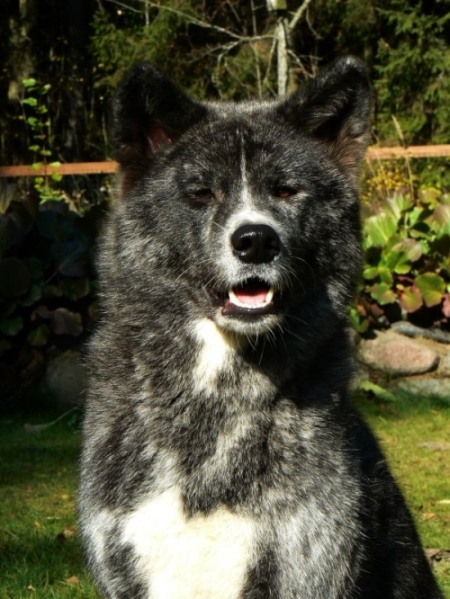 As a puppy Musashi looked much alike his grandfather Sulo. And that is why Sulo�s owners liked him so much. Musashi was a legendary Japanese samurai who was also known to be a skilled artist. Because the name was so good, Musashi�s owners decided to keep it. 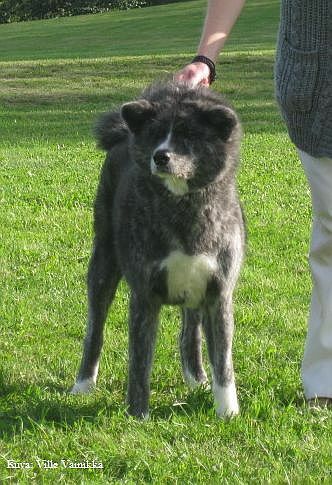 Musashi got ill at summer 2011 and a specialist said it seems to be UDS. Musashi is still in a good condition. His owners are taking really good care of him. 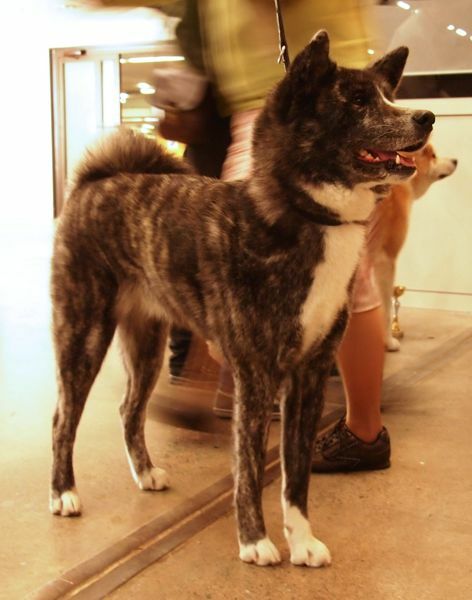 Sora has a great, silver brindle coat. Sora is an energetic girl who don't like to sit around and do nothing. She likes to do something, like go for a walk or use her nose. What ever it is, she is ready for action. Sora is mental tested with +112 points. 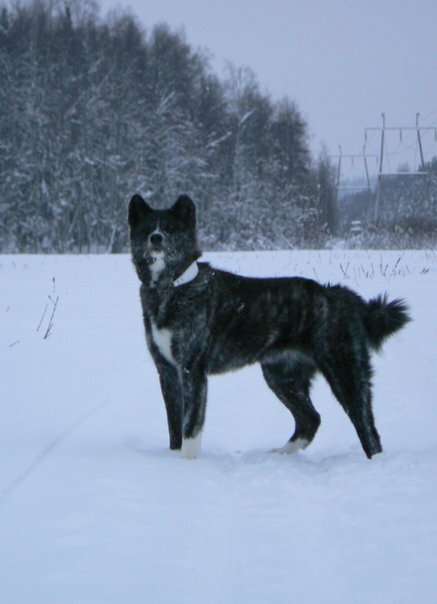 Kuro was called �Little Black� because of her dark brindle color. She has the darkest color within her siblings. I�m happy that she went to home who likes to go to shows. I think she was the first one who found herself a home. Kuro is a Japanese word and it means �black, dark�. It fits like a glove to her! 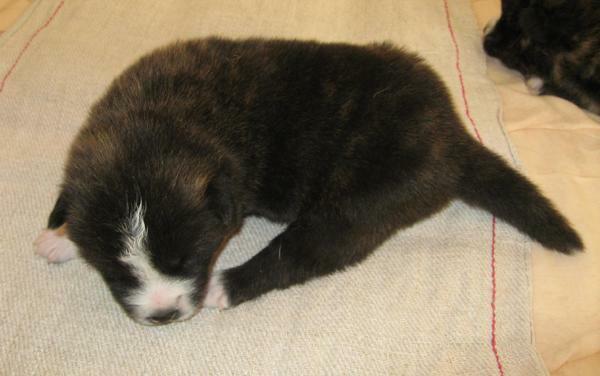 At the beginning of 2011 Kuro surprised us all and gave birth to 6 healthy boys! 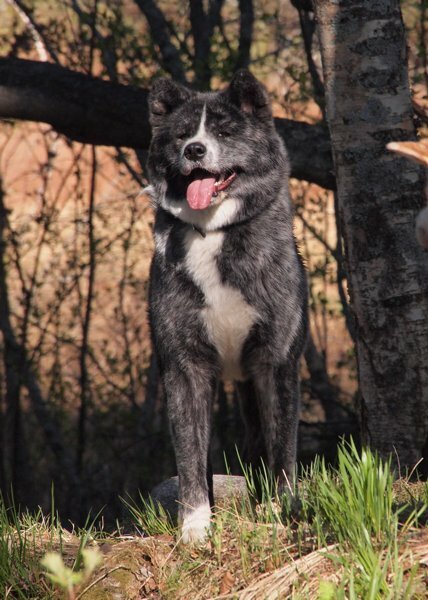 The father is family�s red Akita boy Akai. You can see more about the litter and the dogs at kennel Casador Grande�s sites. This girl has a very sweet expression and a white mark in her neck. And because of the mark she was called Boomerang. Panda thinks before acts. Panda has a funny mark in his back leg � it looks like a lightning strike. 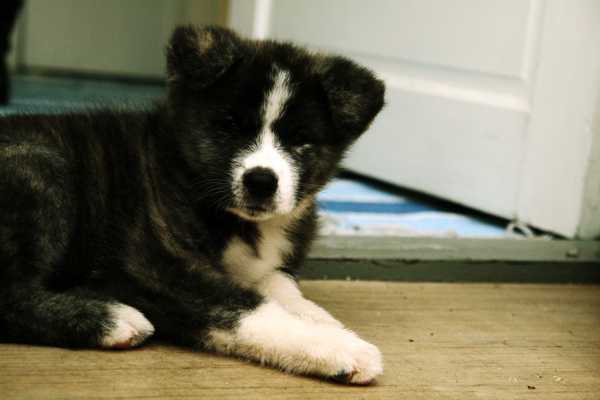 Panda were so adorable puppy and now he lives with an Akita girl Aya and family with children. 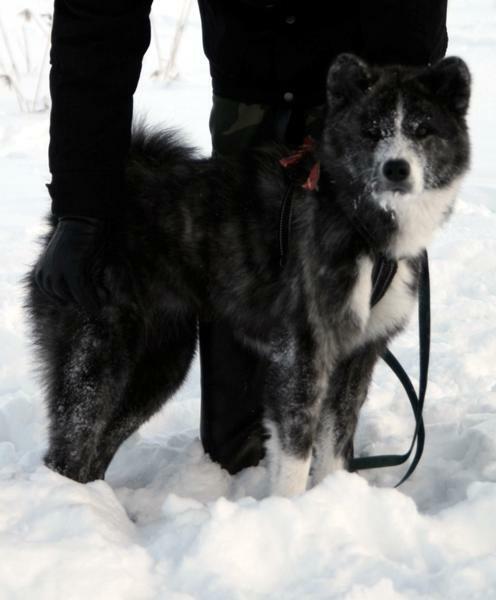 Panda has an honour to be in his owner�s kennel name: Pandayan.